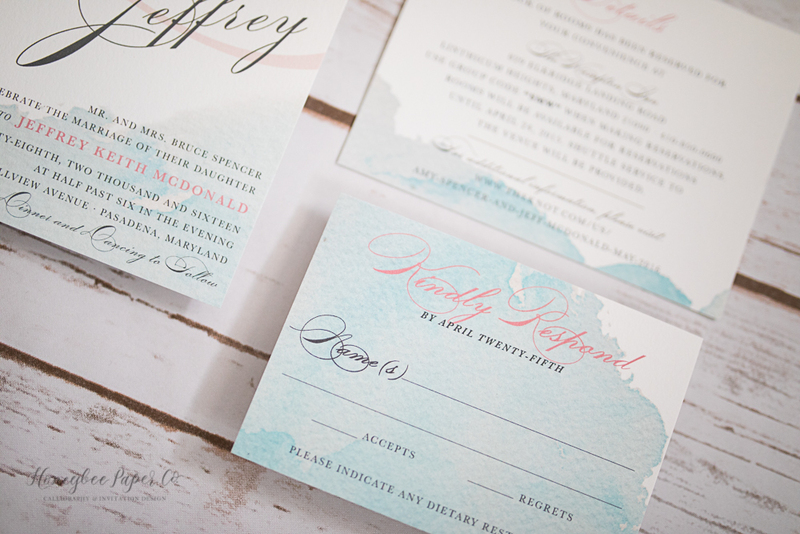 Remember that time I showed you Amy and Jeff’s beachy save the dates? 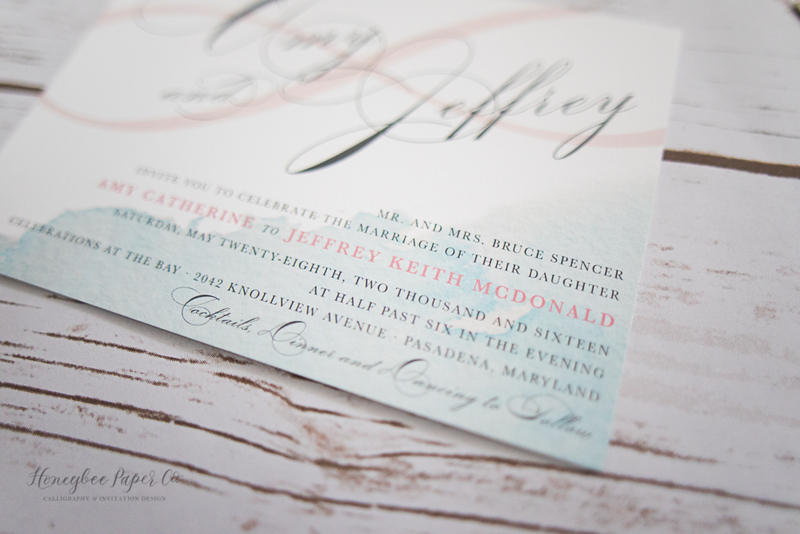 WELL I promised to share with you their beautiful custom wedding invitations as well. Just in time for some (hopefully) warmer weather to roll in and stay for a while. 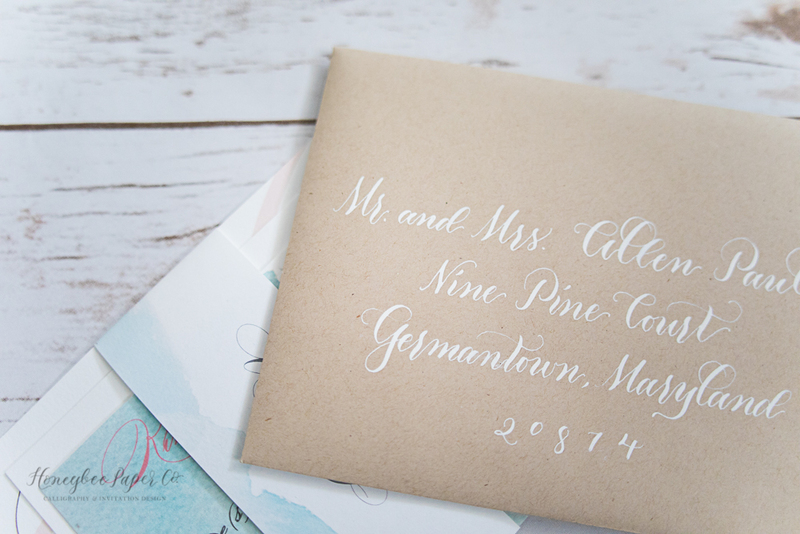 The couple incorporated the infinity symbol throughout their day, including the bride’s engagement ring. What a perfect tone to set for a wedding! 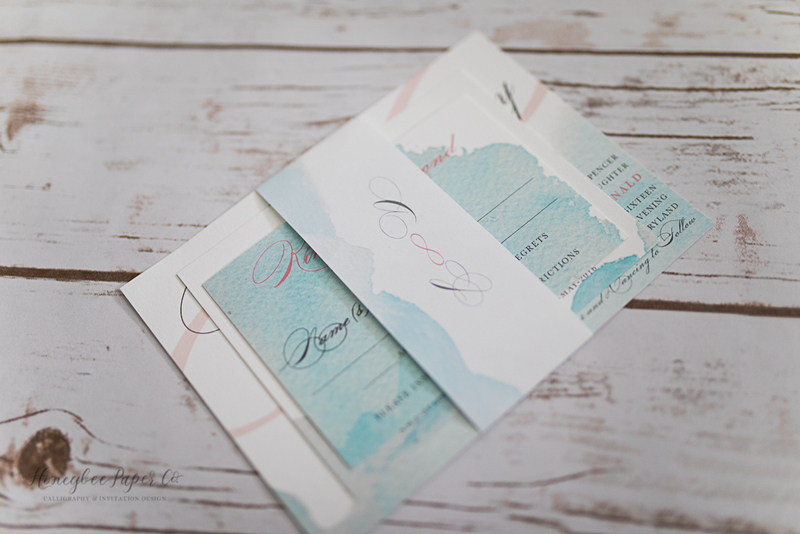 The soft rolling watercolor just makes me feel like I am sitting with my toes in the sand, waves washing over my feet. 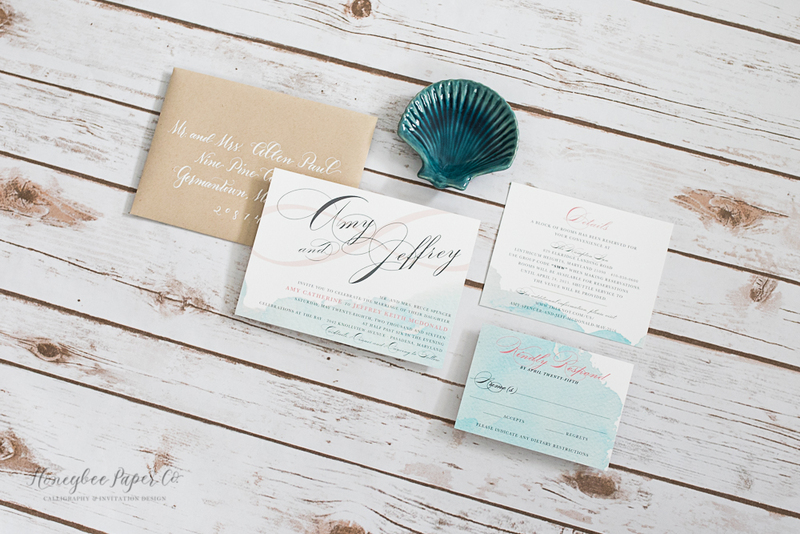 Finish it off with a sand-colored envelope with white ink and you have yourself a swoon-worthy beachy wedding invitation. 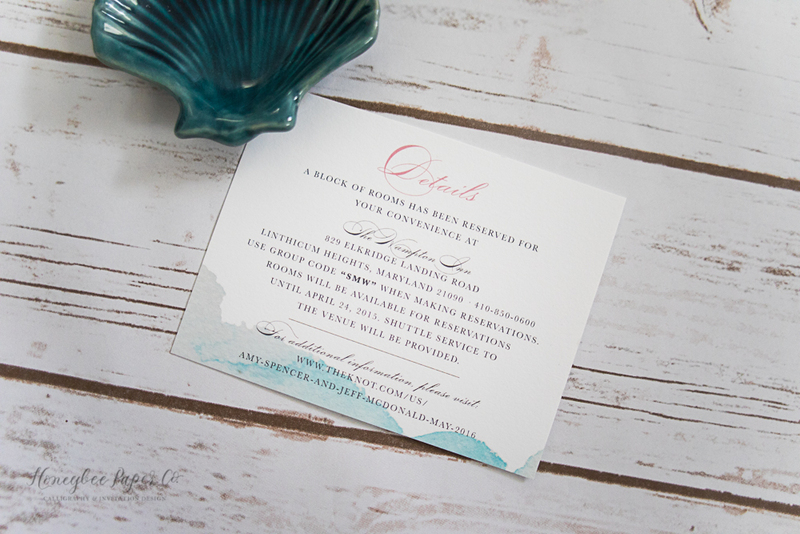 It was so much fun to work together with the bride’s parents on this project. Enjoy!